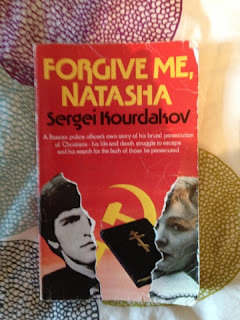 Forgive Me Natasha is a book that I read years ago and picked it up again because I wanted to re-read it. It is the story of a guy who grows up in communist Russia. Communism really becomes his religion and he is set to go far within the communist party. One of the roles he has is to head up a team of men who are an unofficial police force – they are sanctioned by the police to do tasks the police were not necessarily able to do. They break up bar fights etc until their tasks become a lot more focused on breaking up Christian gatherings. This story is like a modern day Saul-to-Paul story, and it’s written by Sergei himself. It’s a great story of how God can save anyone, and the many ways God can use to call people to Himself. It is an older book – I don’t think it’s been in print in the last three decades, but I’d definitely recommend it. It’s a good way to learn about persecution which is far from something confined to the history books, even now in the 21st century.